(Miniature Palm Sedge). 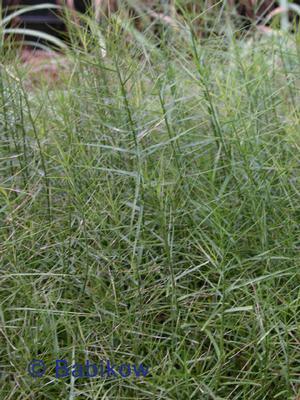 Native sedge with fine, bright green foliage adds texture to the garden. Beautiful if massed, in containers or as border plant. Performs well in wet or moist areas. Shade or sun (with moist soil). Ht. : 10 inches. Z5-9.